16-piece dinnerware set. Set includes four 10.5"Dia. dinner plates, four 7.5"Dia. salad plates, four 5.9"Dia. bowls, four 4.5"W x 4.75"T mugs. Nonleaded crystal. Hand wash. Imported. 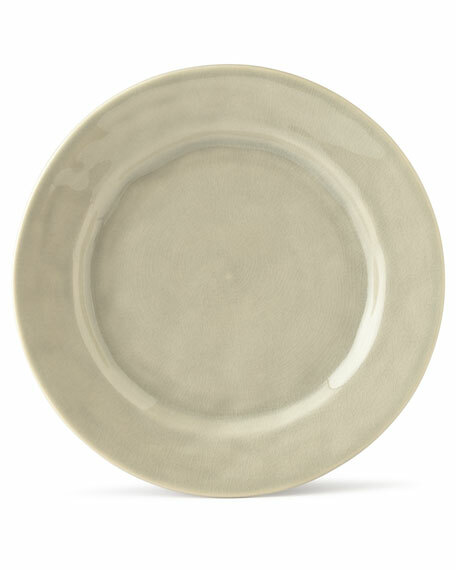 EXCLUSIVELY AT NEIMAN MARCUS Handcrafted 20-piece dinnerware service includes four each of: dinner plates (11"Dia. ), salad plates (9"Dia. ), bowls, (6.75"Dia. ), and cups and saucers (2"Dia.). Artwork is hand painted and there will be slight variation. Dishwasher, microwave, and oven safe. Made in Portugal.